On one side Mengelberg Lacy and Rudd took Herbie Nichols for a walk (see previous post) Now on the other side they pick on Monk. This post follows up the Monk selection. 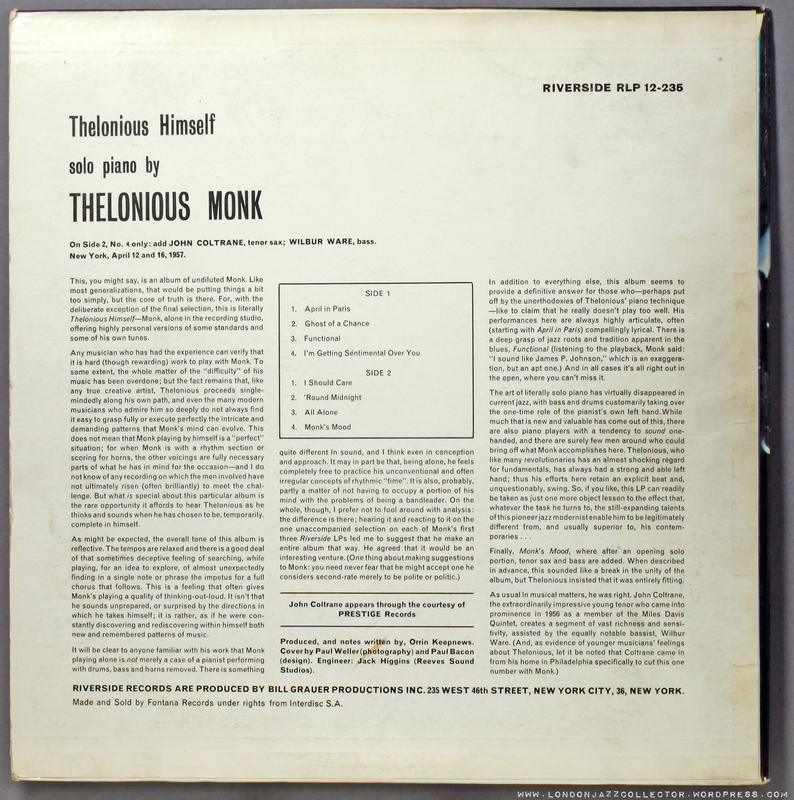 To make sure Mengelberg and his pals don’t get a free pass, I have included a recording of the original work for contrast ( a good excuse to upload more Monk) For your delectation, a triple record post, in each case kicking off with the original. 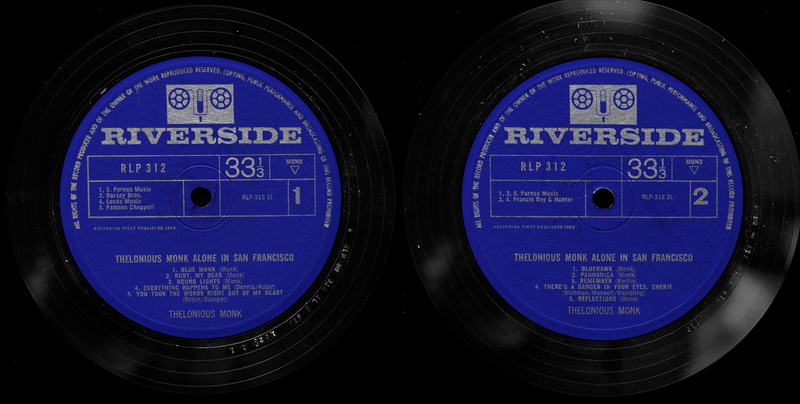 Monk’s Moods and Friday The Thirteenth – I think both versions acquit themselves honourably. 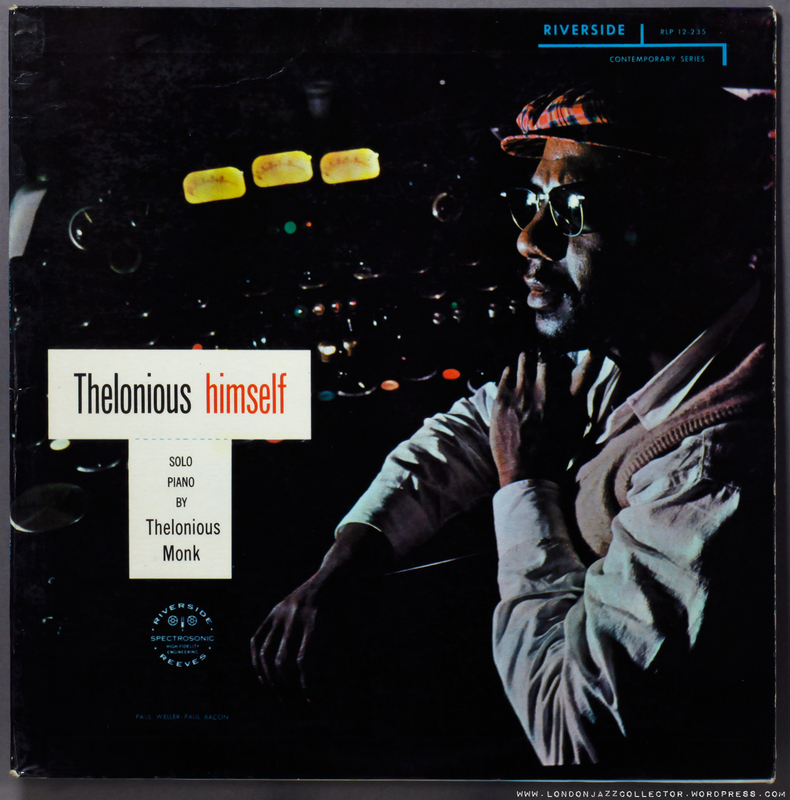 Monk’s strong compositions withstand repetition – he himself played the limited number of songs in his repertoire many times, and it’s within the spirit of Monk to do another take. Mengelberg’s take on Monk is affectionate: in the style and manner of Monk without being an imitator or copyist. Rudd’s trombone makes a good fist of Julius Watkins French horn, and Lacy is hard to accuse of being a Rollins-impersonator, so the improvisations offer a different character to the song. The addition of Coltrane to solo Monk on Monks Mood is an inspirational decision. I like them both, and the Soul Note offers delicious stereo. The comparison does remind you of the great compositions of Monk, as much as his devilish playing, that is an unbeatable combination. 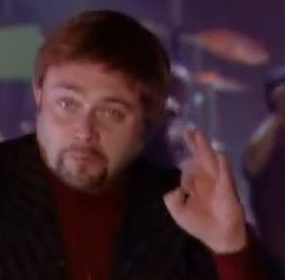 But that’s just my view, what does expert musicologist van Meerkat think? Selection: Monk – Monks Mood: John Coltrane (tenor saxophone) Thelonious Monk (piano) Wilbur Ware (bass) recorded Reeves Sound Studios, NYC, April 16, 1957 Interdisk edition, press by UK Philips. 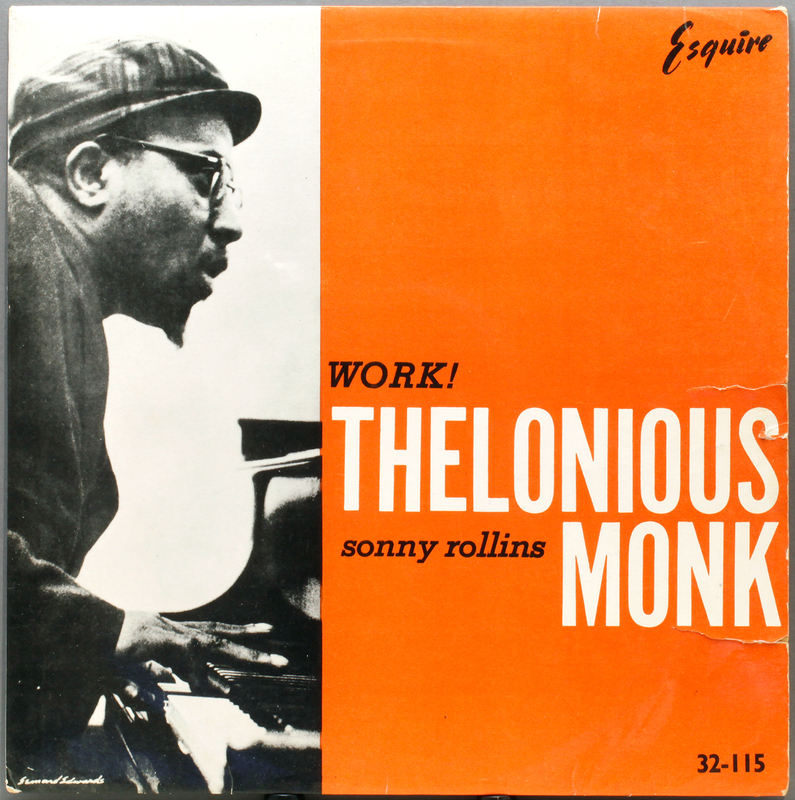 Selection: Monk – Friday The Thirteenth – PRLP 7169 “Work” Julius Watkins (French horn) Sonny Rollins (tenor saxophone) Thelonious Monk (piano) Percy Heath (bass) Willie Jones (drums) recorded NYC, November 13, 1953. This edition, Esquire 32-115 1st UK release on US metalwork manufactured by Abbey (AB) and RVG. Three record posting, enjoy, just don’t get to assume you get this much every time. 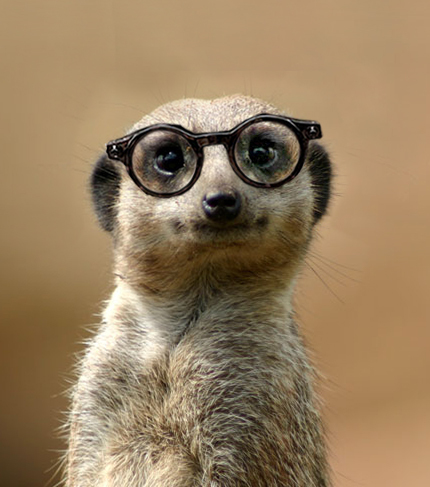 A replay of the radio chat is available – you can not only read LJC, you can listen to him – and no meerkats! Check post November 25, 2013 on the blog of the most excellent Max Paradiso, Mr Dispenser, of Smoke Radio aka University of Westminster. 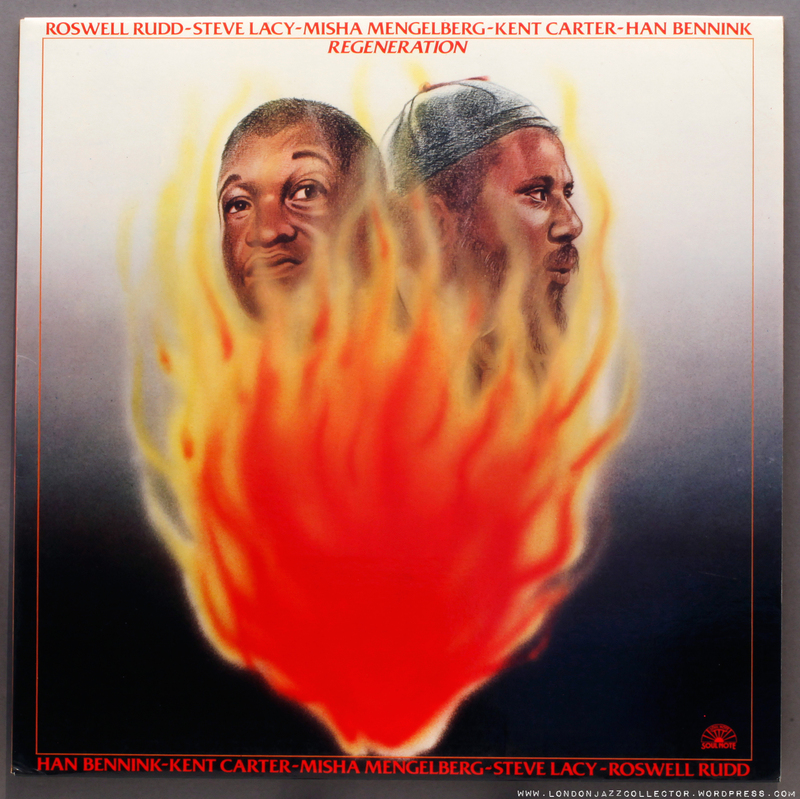 This entry was posted in Misha Mengelberg, Soul Note, Thelonius Monk and tagged Esquire, John Coltrane, Julius Watkins, Misha Mengelberg, Prestige, Roswell Rudd, Steve Lacy, Thelonious Monk by LondonJazzCollector. Bookmark the permalink. Well, Mengelberg and Co. can do no wrong as far as I’m concerned…. 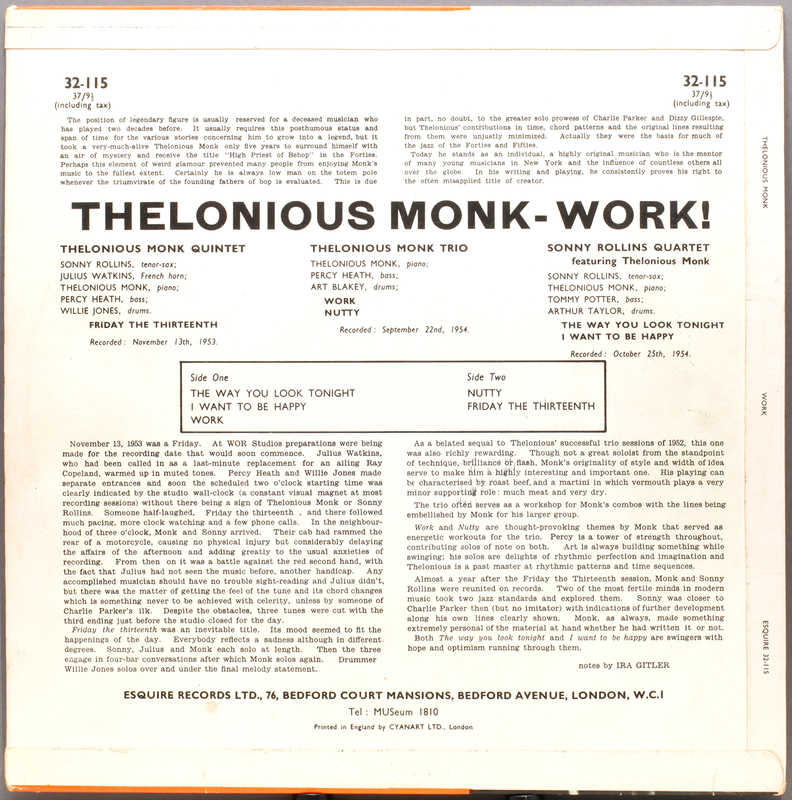 But I have to say that Monk’s Mood doesn’t have quite the excitement of reconstruction and reinterpretation that the same band’s take on Herbie Nichols does — at least until Mengelberg’s simply brilliant solo comes in. But this is a minor shade of difference, really, it’s still a bloody essential record and one I shall wrest from your cold dead hands at some point — unless I find my own copy, that is. Congratulations, good things come to those who wait! As do bad things. There is no justice in this world. And strangely enough I am playing it as I type. Another terrific recording from Soul Note. Yours in the search for justice…. Agreed: Mengelberg’s approach is, indeed, respectful. You learn something new everyday, ’cause once again this record is totally unknown to me. I remember some old footage of Mengelberg hammering the keyboard of his piano like a toddler and I can’t say it was enjoyable to listen to. This, however, is something else. It was broadcast “live” – I don’t know whether they make it available as a podcast – its first time I have done a radio interview. Nov 25 Is Jazz Dead? A Dispenser’s recap. A fellow WordPress blogger, how about that.